So, maybe this is coming out a little late and maybe Wells Tower's Everything Ravaged, Everything Burned has already garnered just about all the praise a book of short stories can get these days ....... But for those who haven't read it (or heard of it), here goes! Eminently readable and surprisingly compact, Wells Tower's recent collection of stories works as an x-ray examination of American life and the meaty substance of our relationships and realities here. 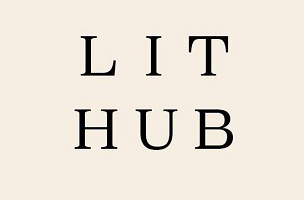 Shuttling what's dark and visceral into bright moments of ruminative comedy, each story-gem in the collection runs a wide, arcing gamut, illuminating so much with so little. Capped of with a deliciously twisting, ties-everything-together story (involving Vikings of all things), Everything Ravaged, Everything Burned is a truly brilliant work by what is assuredly one of America's great new voices. 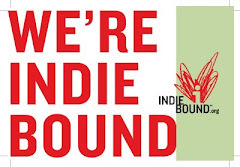 We all know that this great region we live in literally teems with successful and often brilliant writers. Behind every door, sipping every beer, washing every boat -- yes, they're everywhere, it seems, and doing everything. Here are some of their newest books! Rebecca Wells' The Crowning Glory of Calla Lily Ponder. Southern Charm at its absolute peak. Enough Said. 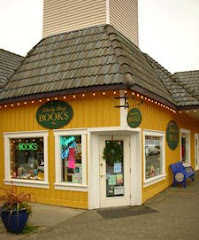 Bainbridge Islander and recent Guggenheim genius grant winner Bruce Barscott's The Last Flight of the Scarlet Macaw, a truly thrilling work -- and not just by comparison to other books belonging to the narrative nonfiction milieu -- Barscott's novel is, literally, the stuff of Guggen-genius. Psychonautic wildman Tom Robbin's B is for Beer. Not apart of the Robbin's canon but still downright enjoyable, this 'kid's book for adults' is fun to read and breezy as a summer pilsner. Kristin Hannah's True Colors. Cute, cuddly, emotionally resonant; all I can say is: buy it, read it, love it. 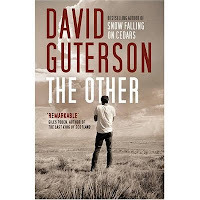 David Guterson's The Other (one The New York Times' Notable Books of the year). Absolutely his best. Tall, consistenly dreamy, and passionately recondite, The Other is a novel as only Guterson in his prime can deliver it. Mary Guterson's trenchant wit does magical work in her latest, Gone to the Dogs, the story of the restlessly zany (and loveable) waitress Rena as she navigates through a few of life's more troubling lessons. ...And of course, Garth Stein's now beloved The Art of Racing in the Rain, a funny story only fit for a dog to tell. After a brief glance at some of the recent (book) ordering catalogs, I've come to the conclusion that a wild, near-edenic end of summer awaits us, with promises of endless literary bounty and good books galore. So, with so much to choose from, I've decided to limit my celebration to a few particular upcoming books -- a couple of which I've had the luck to get my hands on. Reheated Cabbage by Irvine Welsh (August 4, 2009) -- As its title suggests, this new collection from the author of Trainspotting stardom is really a refreshment (reheating) of stories now out of print and hard to find. I'm 3/4 of the way through it and finding it every bit the meal it once was: caustic, hilarious, concerned with matters local and galactic, and above all, brilliantly fun, Reheated Cabbage is, if not vintage Welsh, then at least a few good doses of well-matured Welsh. And PS, a few of the stories revisit Renton, Sick Boy, Spud and the boys from Trainspotting. 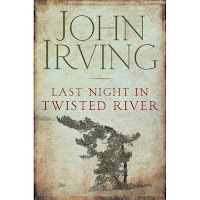 Last Night in Twisted River by John Irving (October 20, 2009) -- Irving's new novel revists the well-chartered New England territories of his most successful novels, courting history and elegy with the same panache and emotional vigor we expect from him. I haven't really gotten too far into the red-wood sized tome, but from what I've taken in, it's going to be a lot better than Irving's last (the hypertensive Until I Find You). 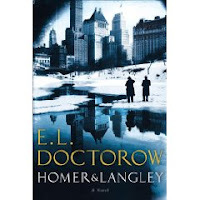 Homer and Langley by E.L. Doctorow (September 1, 2009) -- So maybe (aside from Book of Daniel) the great Doctorow's novels have fallen off a bit since Welcome to Hard Times and Ragtime, but no doubt about it the man can still write a damn good novel. This newest tells the epic story of two brothers -- one blind and yet scarily perceptive, the other damaged into a mania which may be greatness -- as they run up against the world and all the warp and weft of American history. As cohesive and sensitive a novel as has come out in a while.